Stacey Antine is a registered dietitian who holds a Master’s of Science in Food, Nutrition and Dietetics from New York University. Alarmed by the long list of lifestyle diseases (obesity, heart disease, diabetes, etc.) 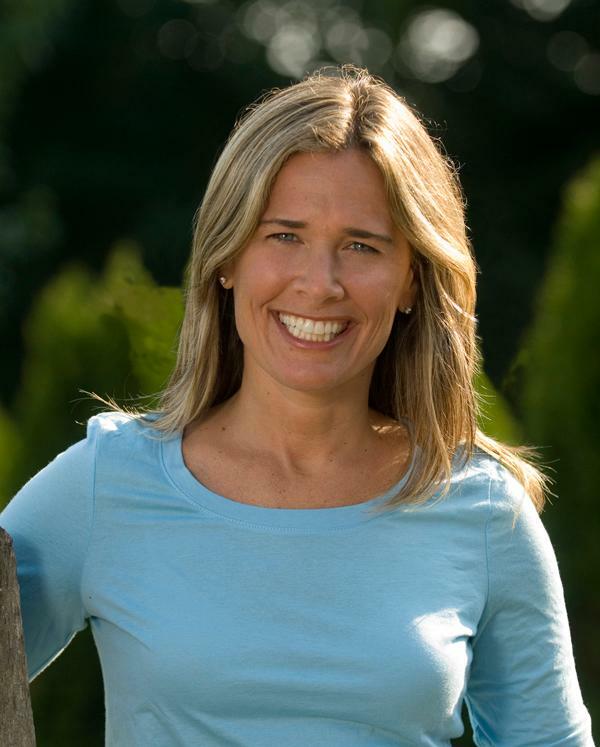 faced by children today, she founded HealthBarn USA, Inc. to connect children to natural foods and where they come from. HealthBarn USA opened its first location at ABMA’s Farm & Market in Wyckoff, NJ in April 2005 and now offers its camp program at Hilltop Hanover Farm and Environmental Center, in Yorktown Heights, NY. Stacey Antine teaches a wildly popular “Try it, you’ll like it” school assembly program nationwide. Due to the success of the program, Life in Sync, an established nonprofit 501c3 organization has approved HealthBarn USA to be its first recipient to receive funding to help combat the obesity epidemic and diseases associated with weight gain. The positive impact of HealthBarn’s programs is proven effective by research conducted by Pamela Koch at Columbia University’s Teachers College, the leading nutrition education research institute. With over 20 years of experience in the field of food and nutrition, and a successful track record of helping thousands of families change their eating habits from fast food to natural food, Stacey Antine, MS, RD is an expert who parents and kids can agree on. She has been featured on The Rachael Ray Show, named women entrepreneur to watch by Business Week, and featured as “Our Hero” by the Academy of Nutrition and Dietetics for her dedication to children’s health where she is also a member. She was appointed to the Academy’s RD Communications Council for its National Kids Eat Right campaign and received a Certificate of Training in Childhood and Adolescent Weight Management by the Commission on Dietetic Registration. Stacey Antine aims to help more parents and children get healthy by having fun and raising their nutritional literacy with her first book, Appetite for Life: The Thumbs-Up, No-Yucks Guide to Getting Your Kid to be a Great Eater – including over 100 Kid-Approved Recipes, published in September 2012 by HarperOne, an imprint of Harper Collins Publishers, in hardcover and as an eBook. Visit Stacey Antine for more information. This entry was posted in Award, celebrity, honoree, Recognition, women and tagged appetite, diabetes, dietician, eating habits, entrepreneur, founder, HealthBarn USA, heart disease, helathy meals, natural food, new jersey, new york, NJ, nutrition, NY, NYC, obesity, organic, Program, someone to watch, Stacey Antine, Today's Honoree, value, weight gain. Bookmark the permalink.